Avon Publications is one of the top most publishers of romance fiction. At Avon's initial stages, it was an American paperback book and comic book publisher. The shift in content occurred in the early 1970's with multiple Avon romance titles reaching and maintaining spots in bestseller lists, demonstrating the market and potential profits in romance publication. As of 2010, Avon is an imprint of HarperCollins. Avon Fantasy Reader is one of several digest-format paperbacks that were once published by Avon. Avon Books was founded in 1941 by the American News Company (ANC) to create a rival to Pocket Books. They hired brother and sister Joseph Meyers and Edna Meyers Williams to establish the company. ANC bought out J.S. Ogilvie Publications, a dime novel publisher partly owned by both the Meyers, and renamed it "Avon Publications". They also got into comic books. "The early Avons were somewhat similar in appearance to the existing paperbacks of Pocket Books, resulting in an immediate and largely ineffective lawsuit by that company. Despite this superficial similarity, though, from early on Meyers differentiated Avon by placing an emphasis on popular appeal rather than loftier concepts of literary merit." The first 40 titles were not numbered. First editions of the first dozen or so have front and rear endpapers with an illustration of a globe. The emphasis on "popular appeal" led Avon to publish ghost stories, sexually-suggestive love stories, fantasy novels and science fiction in its early years, which were far removed in audience appeal from the somewhat more literary Pocket competition. As well as normal-sized paperbacks, Avon published digest-format paperbacks (the size and shape of the present-day Ellery Queen's Mystery Magazine) in series. These included Murder Mystery Monthly, Modern Short Story Monthly and Avon Fantasy Reader. Many authors highly prized by present-day collectors were published in these editions, including A. Merritt, James M. Cain, H. P. Lovecraft, Raymond Chandler and Robert E. Howard. In 1953, Avon Books sold books in the price range of 25¢ to 50¢ (for the Avon "G" series, the "G" standing for "Giant") and were selling more than 20 million copies a year. Their books were characterized by Time Magazine as "westerns, whodunits and the kind of boy-meets-girl story that can be illustrated by a ripe cheesecake jacket". At around this time, Avon also began to publish under other imprints, including Eton (1951–1953), Novel Library, Broadway and Diversey. Avon's 35-cent "T" series, introduced in 1953, also had strong mass-market appeal and contains many outstanding examples of the then-popular juvenile delinquent story. The T series also contained many movie tie-in editions and the stand-bys of mysteries and science fiction. Avon was bought by the Hearst Corporation in 1959. In the late 1960s there was a surge of interest in Satanism largely due to the emergence of Anton LaVey's Church of Satan in 1966 and the success of Ira Levin's novel Rosemary's Baby in 1967. In 1968, an Avon editor named Peter Mayer approached Anton LaVey with the idea of publishing a "Satanic Bible," and he asked Anton to author it. Anton obliged, and in December of 1969 The Satanic Bible was published as an Avon paperback. The Flame and the Flower's success marks the true beginning of Avon's focus on romance. 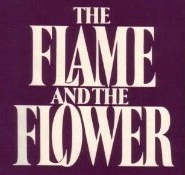 In 1972, Avon entered the modern romance genre with the publication of Kathleen Woodiwiss' The Flame and the Flower. The novel went on to sell 2.35 million copies. Avon followed its release with the 1974 publication of Woodiwiss's second novel, The Wolf and the Dove. The next two romances by newcomer Rosemary Rogers, Sweet Savage Love and Dark Fires, also published in 1974, reached bestseller status. The latter sold two million copies in its first three months of release and the former inspired the name of the genre: "sweet savage romances". In 1999, the News Corporation bought out Hearst's book division. Avon's hardcover and non-romance paperback lines were moved to sister company Morrow, leaving Avon as solely a romance publisher. Avon launched the erotica imprint Avon Red in 2006. Avon developed the event KissCon in 2014, in order to serve the population of romance readers looking for more interaction with their authors and opportunities to strengthen their reading community connections. For its 75 year anniversary in 2016, Avon published 65 original titles, along with an anniversary edition of Shanna, a romance novel by Kathleen E. Woodiwiss, published in 1977 that held a spot on the New York Times bestseller list for over thirty weeks. In addition to the re-release, the book included a forward by the more recent bestseller, and another author represented by Avon, Lisa Kleypas. Avon published five issues of White Princess of the Jungle. Avon revived the 1947 one-shot title Eerie in 1951 and gave it a 17-issue run. ^ "Highbrow Smorgasbord," Time Magazine, August 10, 1953. ^ "Quiet Deal," Time Magazine, August 31, 1959. ^ Aquino, Michael (2013). The Church of Satan. p. 69. ISBN 1494447339. ^ Darrach, Brad (January 17, 1977). "Rosemary's Babies". Time. Retrieved 2007-07-17. ^ Radway, Janice A. (1991). Reading the Romance: Women, Patriarchy, and Popular Literature. Chapel Hill: The University of North Carolina Press. p. 34. ISBN 9780807841259. ^ a b c Garrett, Lynn (January 5, 2016). "At 75, Avon Books Is Still Going Strong". Publishers Weekly. Retrieved February 8, 2019. ^ "It's Not Just You—It Really Is Hot in Here". PublishersWeekly.com. Retrieved 2019-04-03. Wikimedia Commons has media related to Avon Publications.